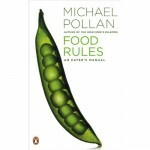 I’ve read books by Michael Pollan and Tom Standage in the past, and they both have new titles available. Last October, the New York Times website had a fun and attractive interactive feature giving more “rules” for eating (I recommend taking a look). A new promotional piece in the New York Times continues the theme. However, not knowing anything other than the title of his new book, Food Rules: An Eater’s Manual, I have to wonder if he is not riding this horse into the ground. I continue to respect his work, so I hope that his latest is as interesting as his other writing. We heard him speak at Butler University some time ago, and I was jealous to learn that some friends are going to hear him speak at Indiana University soon. 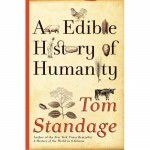 As for Tom Standage, I enjoyed his last book, A History of the World in 6 Glasses. While not quite as smooth and quick reading as Pollan, I enjoyed reading about the parallel evolution of culture and the drinks of the times. 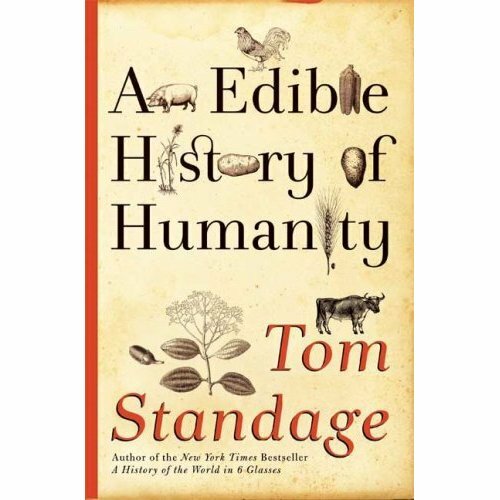 Standage’s explanation in his new book of how some important turns of history are a result of food cravings should be interesting, as well. As I was catching up on podcasts this morning, I found an interview with him on Tuesday’s Planet Money podcast, where he reminds us that much of the European explorers’ motivation came from a profit motive in the spice trade. I love Standage’s unofficial bio as written by his six‐year‐old daughter. Another book that I just haven’t managed to quite finish yet, Beer in America: the Early Years, similarly tells history through beer goggles. Some of the primary points include the fact that any of the events around the time of the American Revolution were planned at taverns over pints of ale. Thomas Jefferson’s wife, Martha, was an accomplished brewer, along with many other women of the day. Taverns were also critical to the westward expansion of the country, providing a place to conduct business as the sparse infrastructure improved. There are many other interesting points and relationships noted in the book, but they either grew repetitive as the book progressed, or that the author was reaching too far when relating events to beer. I think I would have appreciated a perhaps bit less depth in exchange for a look into the 20th century. The Royers are the first featured producers in what appears to be a series of videos by Purdue University about local meat producers. In the video, Nikki and Scott give a short introduction to their 130 year old family farm and the work they do. Congratulations, Nikki, Scott, Knic, and Cale! You can find the Royers’ beef, lamb, and pork at the Fishers and Broad Ripple farmers’ markets. Stop by during the season — they’re nice folks, and they have excellent meat to offer!